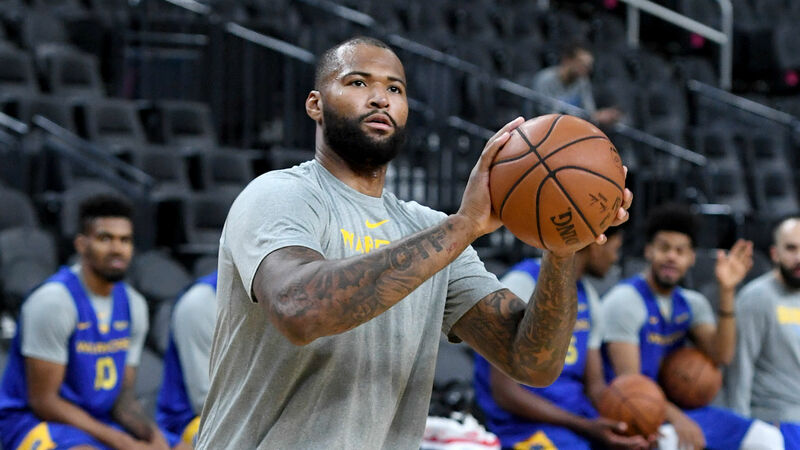 DeMarcus Cousins is looking forward to ending almost a year out with a ruptured Achilles and debuting for the Golden State Warriors, who he believes are the "most hated team in sports". All-Star center Cousins joined the reining NBA champions in free agency on a one-year deal despite going down with injury when playing for the New Orleans Pelicans against the Houston Rockets on January 26 of last year. The 28-year-old is expected to make his long-awaited return when the Warriors take on the Los Angeles Clippers at Staples Center on Friday. Cousins is disinterested in the narrative of whether he needs the Warriors more or vice versa, claiming people love to hate Golden State and their leading stars. He said: "I don't really pay attention to storylines. I mean, they're gonna say what they have to say. They're gonna add their opinions. We're the most hated team in sports. Can you name another?" Put to him that the Dallas Cowboys and the New York Yankees would vie for that title: "Well, put us up there. I would say the Warriors are for sure. "You know they hate Kevin [Durant]. They hate me. I think the only guy they really like is Steph [Curry]. Actually, they may hate him as well. They hate Draymond [Green]. But I mean, it is what it is. I can't worry about that." Cousins sent out a warning that he intends to make his presence felt and feels he has improved as a player following his rehab. "I'm back, and I'm not looking back. I'm moving forward. I'm leaving it on the floor every night. And I plan on coming back for that top spot," he told ESPN. "You know, at the end of this month, it'll basically be a calendar year. So it's been a long time coming, to say the least. "Obviously, I won't be the same player. I've got better. A lot of things have changed in my game. You start to tune up other areas of your game: jump shooting, skill work. I think everything has just increased and gotten better."